Back in the mid-eighties I attended my first Peter Dawson seminar. It was his Seminar I and my first serious introduction to occlusion. It changed my professional career as well as my life. What I remember most from that day was Dr. Dawson telling the students that the reason why so many dentists were unhappy was because they weren’t practicing predictable dentistry. Occlusion was the pathway to more predictable dentistry. At the time I was practicing dentistry at a very superficial level. Dr. Dawson’s explanation compelled me to take the deep dive, and I never looked back. At the time I was searching for better ways to do dentistry, and get better outcomes. Behind those goals was a bigger goal—part of my search for meaning. I never realized that doing meaningless dentistry was the source of my unhappiness…until I heard Pete Dawson speak. Although I had already taken numerous practice management courses that left me wanting for more, who knew that the key to my problems could be found in exploring technical dentistry at a deeper level. I went along for the ride. Slowly but surely I began to understand dentistry better…things really made sense. I couldn’t get enough of restorative dentistry…and I was happier. I thought I found the cure to burnout. But it was only part of the story. I began to study human behavior as well with cognitive behavioral therapy (using rational thought to explain behavior). That helped too, but unlike technical dentistry, human behavior was less predictable than the laws of occlusion. What we can control are our beliefs, opinions, aspirations, desires and our levels of understanding. These all fall within our circles of concern. We can influence the outcomes when we clarify our beliefs and increase our knowledge. That’s what happened the more I studied technical dentistry. What can’t we control? Plenty: Mostly the beliefs and opinions of other people. Once we work on ourselves and what is under our control, the more influence we have with other people. We begin to realize that we can’t nor we shouldn’t manipulate other people. People become attracted to us because of who we have become internally. Our character. I am not sure if Pete Dawson is a modern Stoic, but he certainly understood one of the key principles in achieving a fulfilling career in dentistry. 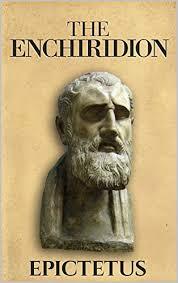 Check out the Enchiridion. Keep a copy in your pocket. Read it daily. Enter the world of Epictetus and comment below about how Stoicism helps you to achieve freedom and tranquility in dentistry.